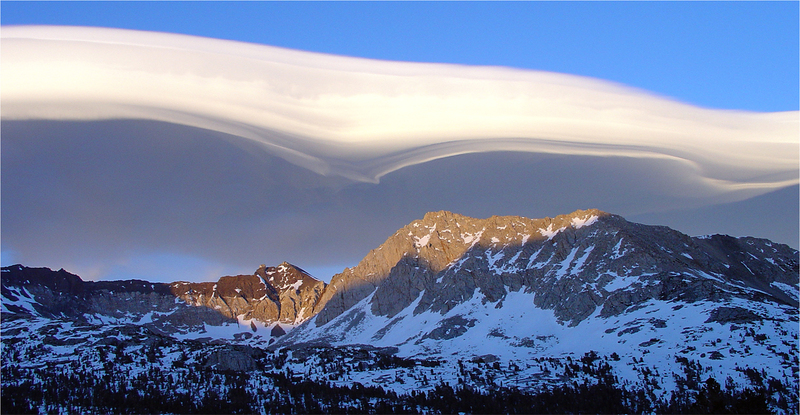 Giant lenticular cloud over Split Mtn on the Sierra Crest Tour 2004. Photo by Reiner Stenzel. 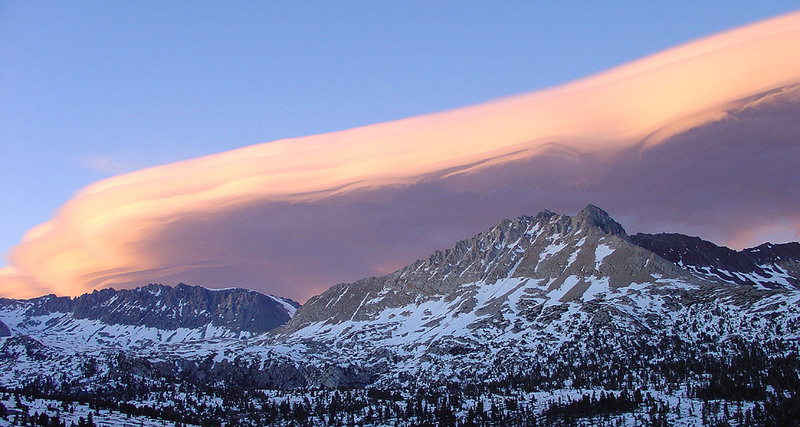 Lenticular cloud over Bolton-Brown on the Sierra Crest Tour 2004. Photo by Reiner Stenzel.